Run your school lunch program electronically. Get better organized and save time. 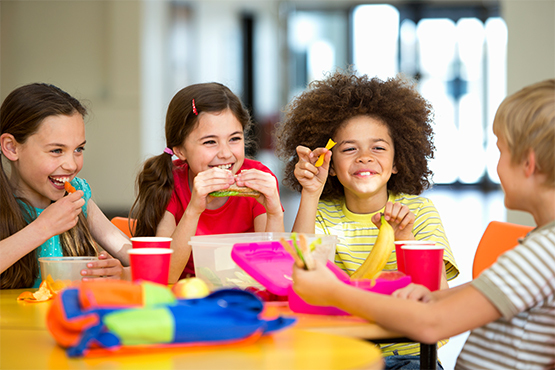 SchoolInsight provides full-featured software to support schools participating in the National School Lunch Program (NSLP). Eliminate paper from your food service process. 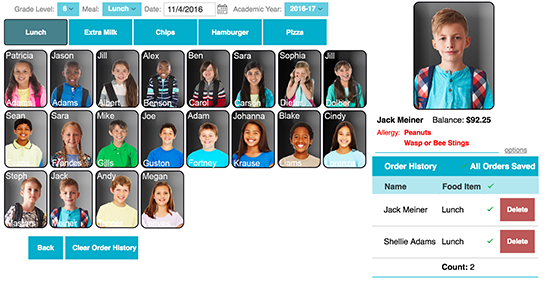 Enter student program types (free/reduced), lunch counts, scan barcodes at the POS, run reports, and generate notices. Saves staff time and keep you organized. Since all data is in a secure online DB, reports are a snap. Easily generate state-mandated reports and ensure timely reimbursement. Each student's purchase is deducted from their account automatically. Easily identify students who need additional funds, and take action if necessary. Run reports to identify which items sell well in the cafeteria. Adjust your menus based upon the purchasing data. Account balances are available online to parents -- speeding up payments. Generate printable letters and email to remind them to deposit funds. Scan orders at the POS as students walk through the line. Print barcodes on school IDs or meal sheets. Also can be used with manual entry and touch screen monitors. Teachers take morning lunch count and electronically transmit it to cafeteria personnel. No paper to handle and all calculations are done automatically. Maintain account balances for each student. Funds are withdrawn as students purchase. Add deposits when parents remit payment. Run reports to find low balances. Parents can view their account balances online, and know when they are low. They also see menus and their children's food choices promoting healthy eating. Schools reduce outstanding lunch fees. Parents self-manage account balances online, and remit payment. Automatically generate letters or emails for students with low balances. Reduce staff time spent on collections. Easily satisfy state reporting requirements and better understand your food sales. 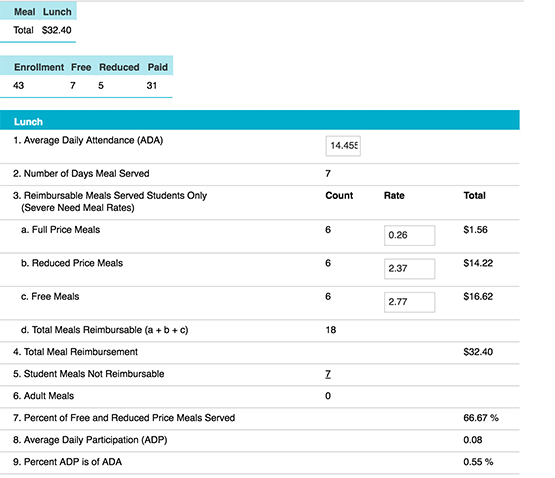 Generate reports of meals served automatically broken down by free/reduced/paid status. Each school has it's own unique needs, and the software adapts to meet their individual requirements. Nearly everything is customizable: meals, food items, prices, letter templates, etc. I absolutely love the assurance that we're finally able to keep accurate records for our students in a timely fashion. The lunch module makes everything quicker and more accurate! The teachers take lunch counts in the classroom and the office receives them automatically. No sweat at all for the kitchen staff-nothing to punch and no paper tickets. We printed up the bar codes from TeacherEase and put them on the back of ID's. Parents can easily go online and check balances. We really like the built-in templates and can send balance reminders home. The software reminds you what to do. It's so user-friendly and the whole process is automatic.